Make the most of advertising space with custom window clings. 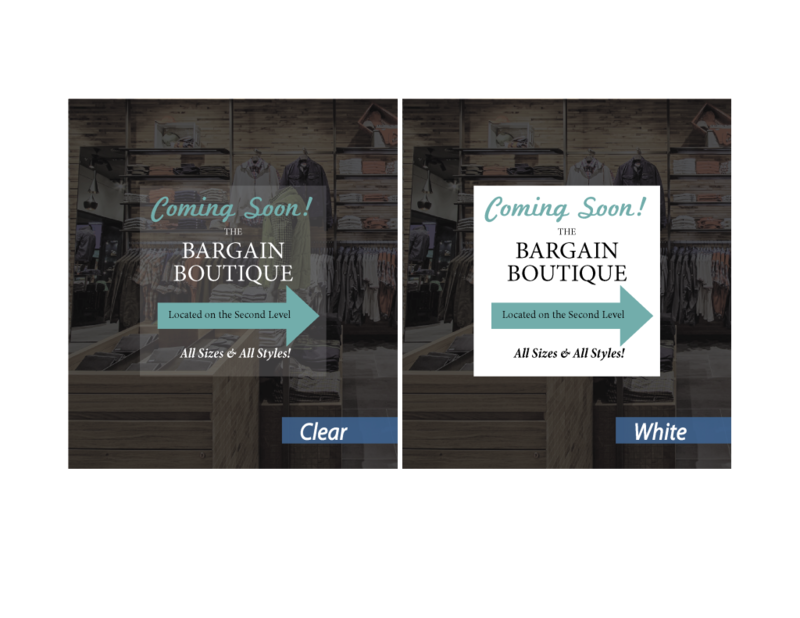 Your customers’ storefront will look professional, bold and eye-catching with our high-quality, full-color digital, custom window clings. Our most popular material allows you to see through from inside your store but has full-color on the outside. If you want more light through your windows, choose one of our transparent window graphics. Looking for a temporary window graphics solution? Choose our Static Cling which has no adhesive, it will not leave behind a residue, which saves you time and lets you avoid the hassles of cleanup. Worried that your window clings may get damaged? Choose the “inside glass” option to apply your clings inside the window facing out. Finally, add one of our die-cut options if you want a custom-shape window cling! ANY place that has Windows! Window Cling Graphics are a must-have for any business, storefront, or office. It’s easy to turn windows into one-of-a-kind displays with Victor Printing!